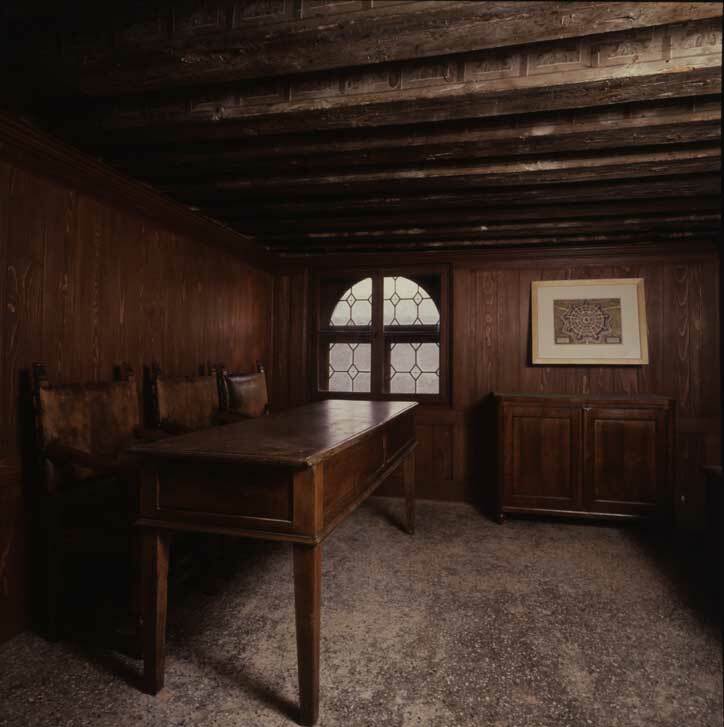 The Secret Itinerary through the Doge’s Palace covers the rooms and chambers where the delicate work of some of the most important bodies in the Venetian administration was carried out. These spaces offer an interesting insight into and acknowledgement of the civil and political history of the Venice Republic, its public organisations, and its institutional bodies deputed to government and justice. The visit must be booked in advance, and can only take place accompanied by an accredited guide. From the large and bright courtyard of Palazzo Ducale, rich in precious marble decorations, going through a narrow door on the ground floor, you’ll find yourself in the Pozzi (wells). They were terrible places of detention, consisting of small wet cells, barely lit by oil lamps, ventilated only through round holes in thick stone walls and closed in by locked doors with solid bolts. 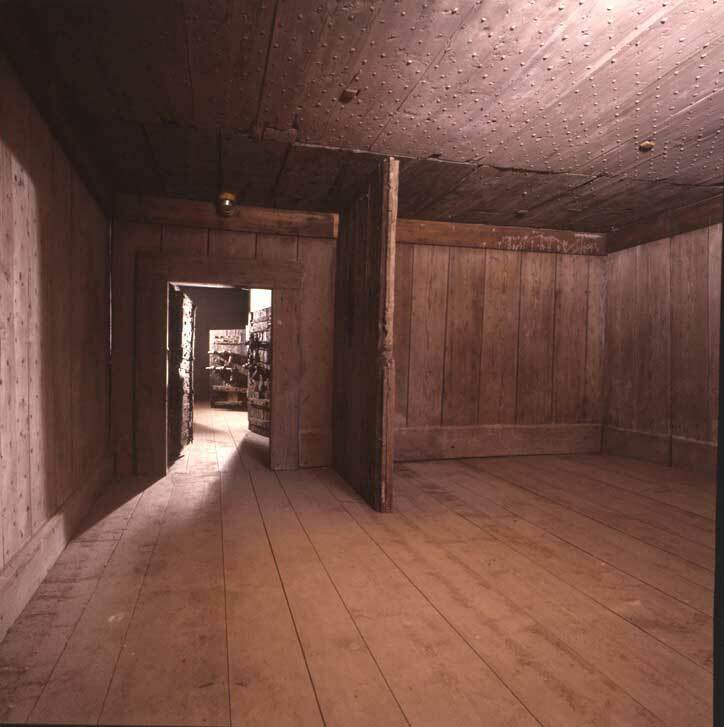 In each cell there was a wood litter, a shelf for the few things the detainee could keep and a wooden bucket with a lid to contain human excrement. From some writings and some drawings on the walls we can imagine the feelings of despair and the desire for freedom of the prisoners. A narrow staircase takes you up to the two small rooms that housed important officers of the institutional machinery: the Ducal Notary and the Deputato alla Segreta of the Council of Ten. The Notary functioned as a sort of secretary to the various magistrature within the Republic, whilst the Deputato alla Segreta kept a special and secret archive for the Council of Ten. From here one passes up to the Office of the Great Chancellor, head of what today would be known as the General Archives. Due to the delicate nature of his work, this was the only public figure to be elected directly by the Great Council. This staircase leads to the large and beautiful Chamber of the Secret Chancellery, whose walls are lined with cabinets containing public and secret documents relating to the work of most of the Venetian magistrature. The mirrored upper doors are decorated with the coats-of-arms and names of the various chancellors appointed from 1268 onwards. Passing through the small room of the Regent to the Cancelleria one comes to the Torture Chamber, also known as the Chamber of Torment; this disturbing place is linked directly with the Prisons. 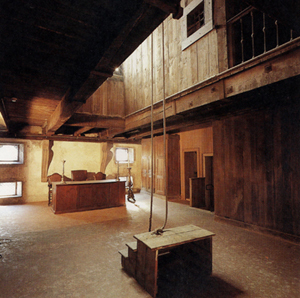 The interrogations were held here in the presence of the judges, and the most commonly used instrument of torture was the rope, from which the person being interrogated was hung and pulled by his arms tied behind his back. Though torture was practised in Venice, it was not particularly savage or gruesome, and from the 17th century onwards it was gradually abandoned; by the 18th century it had practically been abolished altogether. From the Torture Chamber you pass to the so-called Piombi. The name comes from the lead [piombo] covering on the roof. 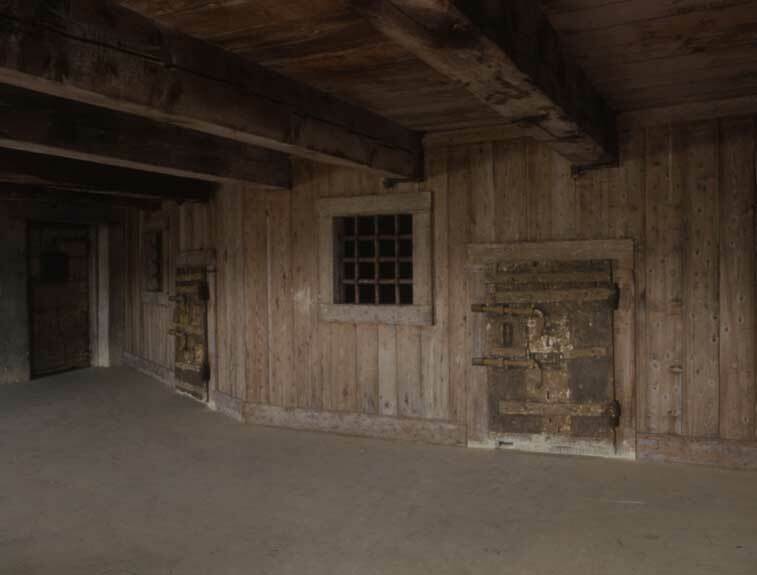 These cells were used exclusively for the prisoners of the Council of Ten – either those accused of political crimes, those awaiting sentence or those serving short prison terms. 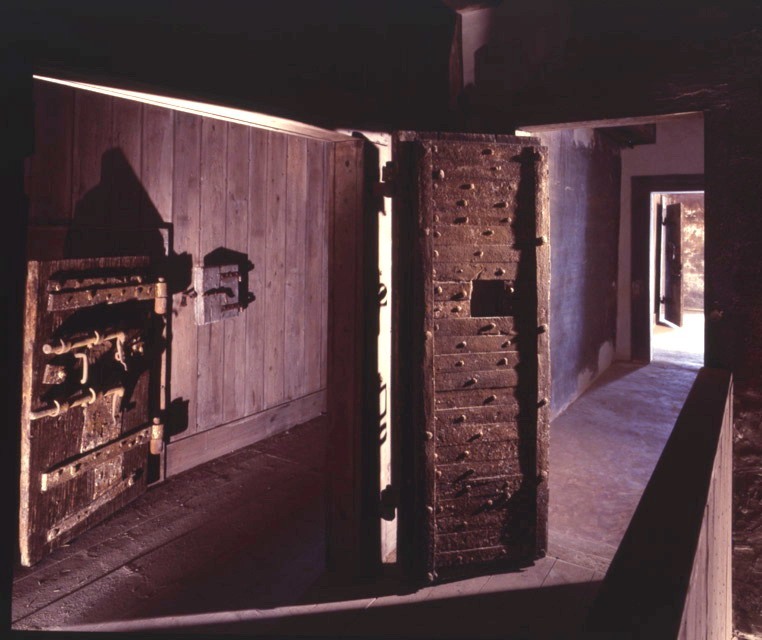 Located directly under the roof, the 6 or 7 cells were formed of wooden partitions to which were nailed sheets of iron. 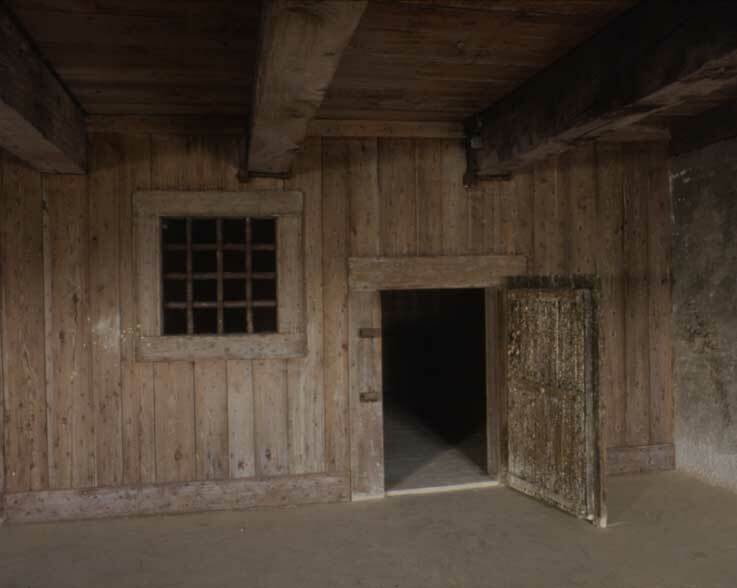 Though so vividly described by Giacomo Casanova, the Piombi did in fact offer prisoners much better conditions than those in the pozzi (the wells), the terrible cells on the ground floor of the Doge’s Palace. 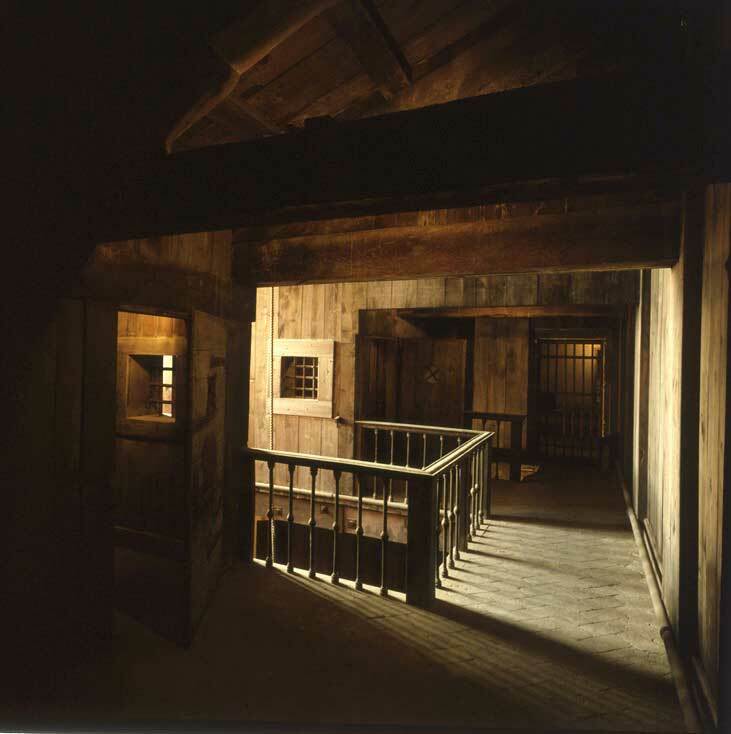 Both cells that were occupied by Casanova, now reconstructed, are part of the tour. 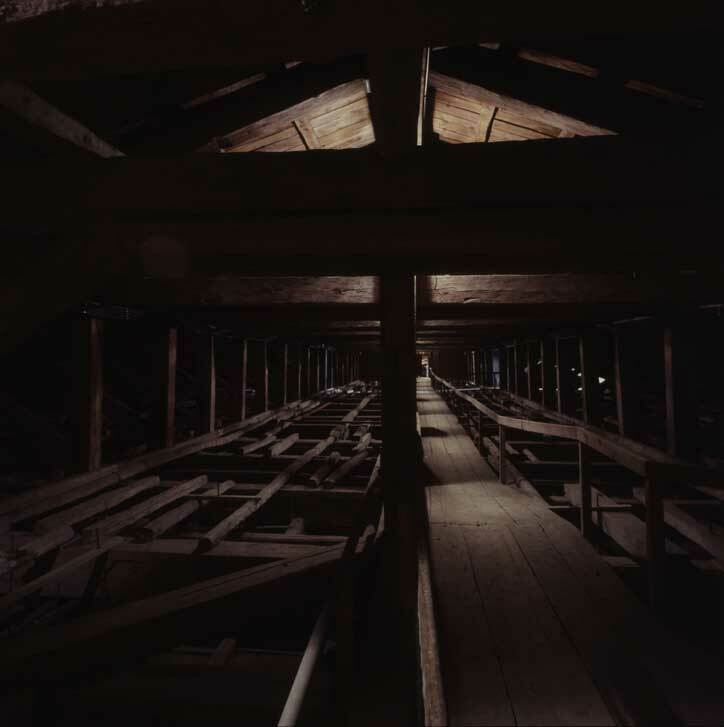 From the Piombi you pass directly under the roof to the attic, with its attractive wooden trusses, located at the corner of the building between the waterfront and canal-side facades. This was the site of one of the corner towers of the much earlier castle occupied by the Doge. Exhibited here are numerous weapons “da botta” (blow” and “da taglio” (cut), crossbows, lances, Venetian and Ottoman, mostly of the 16th century as well as precious metal armatures, shields and gauntlets. 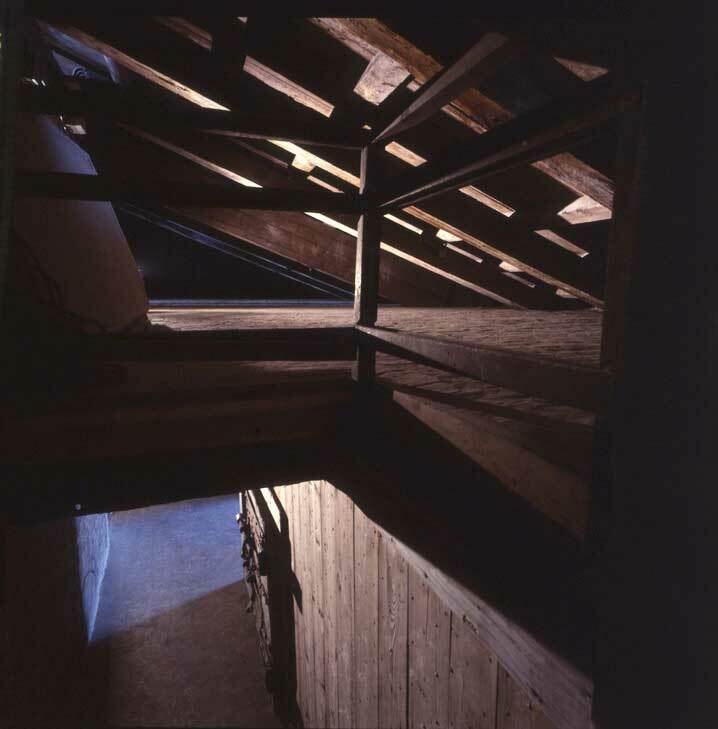 From this attic, two long flights of stairs take you to the Chamber of the Inquisitors, a much-feared magistratura that was set up in 1539 to protect state secrets (its full title was “Inquisitors of the propagation of the secrets of the State”). Two of the three inquisitors were chosen from the Council of Ten, the third from among the district councillors who attended upon the Doge. Required to be objective, efficient and competent in the performance of their duties, the Inquisitors had to maintain total secrecy with regard to any information they might discover during the course of their work – information they could obtain using all the means at their disposal, including resort to informers and torture. The ceiling is decorated with works by Tintoretto, painted in 1566-1567. From here one passes through to the Chamber of the Three Head Magistrates, chosen every month from amongst the members of the Council of Ten. They were responsible for preparing court cases and seeing that the Council rulings were carried out as quickly as possible (they themselves were responsible for assessing which should be given priority). The decoration of the ceiling dates from 1553-54. The octagonal central panel with The Victory of Virtue over Vice is the work of Giambattista Zelotti, whilst the side compartments are by Giambattista Ponchino and Paolo Veronese. In the Chamber of the Three Head Magistrates you may notice a secret passageway in a wooden cabinet, linked directly to the Chamber of the Council of Ten.